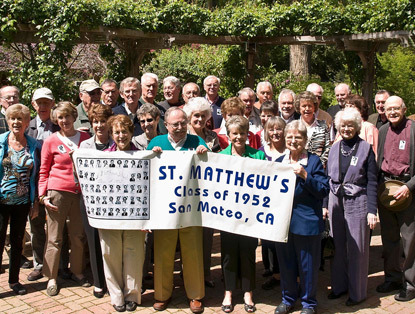 St. Matthew Catholic education began, not with a formal school, but rather with religion classes held by the Sisters of the Holy Family in the basement of the church and in parishioners’ homes. Father Harry J. Lyne, a Domestic Prelate, came to St. Matthew Church as its fifth pastor to succeed Monsignor Timothy Callaghan. It was he who saw the need to establish a parish school to provide a complete Catholic education. So in 1931, he purchased the Tobin Clark Estate and converted it into classrooms. 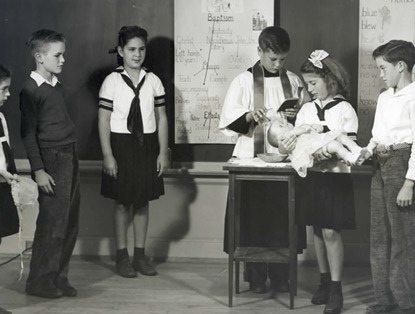 Seven Sisters of the Holy Cross opened the school on August 10, 1931, with an initial enrollment of 100. They finished that first year with 140 students. On May 25, 1947, Pope Pius XII appointed Father Lyne, a Domestic Prelate, with the title of Monsignor. He served as Pastor of St. Matthew Church from 1934 through 1948. 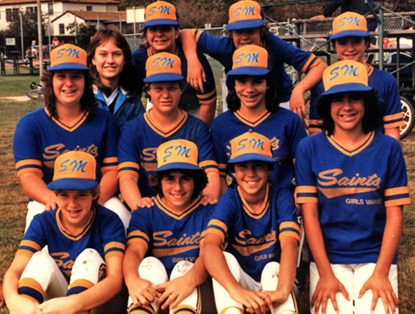 It was considered by many that Monsignor Lyne was the one who truly started Catholic formal education on the San Francisco Peninsula. Since 1931, the school has added a school building and an auditorium in 1936; a new section in 1939, which now holds the fifth and sixth grade classrooms (attached to the seventh and eighth grade classrooms); Lyne Hall, today known as “the ramp”, in 1948, which now holds the kindergarten classroom and the first through fourth grade classrooms, and in 2014 a state of the art gymnasium. In June 1936, ground was broken for the first section of a new school building and auditorium. The sisters' plan was to ultimately have double classes for each grade. 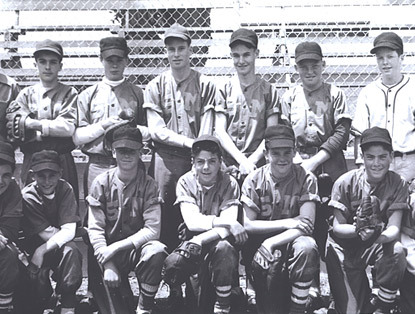 This dream became a reality in September1952 with the total enrollment of 569 students. Monsignor James McKay was installed as pastor in 1995. In early 2000, Monsignor began the renovation of the convent to accommodate school and parish offices and resource rooms. The interior of the building is beautifully done. Parents, staff, students, and parishioners have a comfortable sense of community when on the premises. In 2015, all the beautiful classroom doors on the ramp were refurbished and in August 2017 new gates were installed on campus to better secure the school while in session. In 2015 Monsignor Talesfore became pastor and in 2016 our new principal Dr. Peterson joined St. Matthew. Both Monsignor Talesfore and Dr. Peterson are working closely to build our community with both the parish and school families.